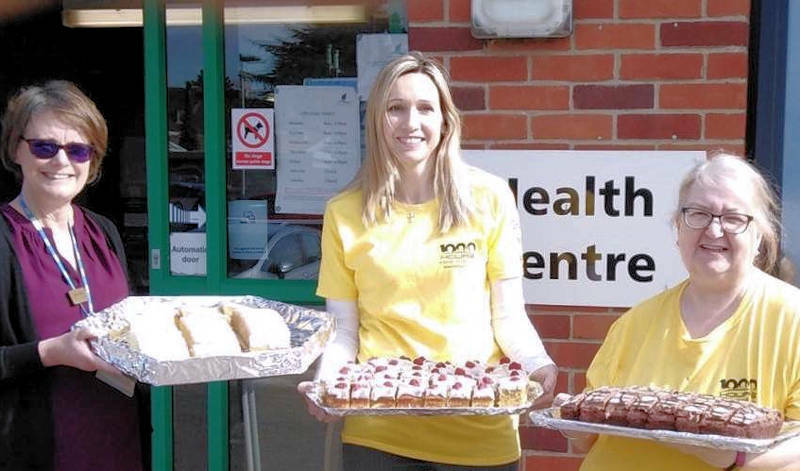 Gateway Vineyard Church’s 1000 Hours of Kindness campaign in Norfolk crossed the border into Suffolk when a group of members made three huge cakes for staff at the Beccles Medical Centre. Staff at the Centre where delighted with the gesture and posted on their Facebook page: “Here at the surgery we have been lucky enough to be on the receiving end of their kindness hours today. Duncan and Wendy from Gateway made and decorated three types of delicious cakes – 70 generous slices in total. Emma made a beautiful thank-you card for everyone who works at the centre and Francesca and Naomi helped with the delivery. The medical team were thrilled. Pictured above are some of the Beccles Life Group with the cakes.